Joel Drucker: What’s It Mean to Be a Tennis Instructor? Technically, what was happening took place in Orlando. 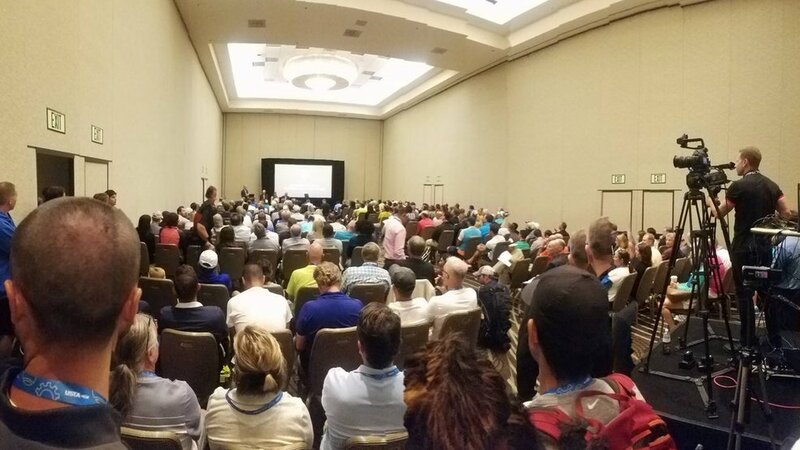 It was “Next Generation: A Tennis Innovation Workshop,” conducted by the USTA and USPTA – the latter being the organization of teaching pros. There were seminars touching on a wide range of topics, from sportsmanship to renovating facilities to social marketing to high school tennis to transitioning, community tennis, teaching techniques and more. There were field trips to Lake Nona and the USTA’s National Campus. There were dinners and there were drinks and demos and exhibitors. And so, these pros, instructors, coaches – call them what you will – constantly seek ways to reach their students. Is it best to start by hitting lots of balls? Carefully study grips? Devote time to footwork? Backboard? Ball machine? Hand feeds? Live ball drills? And how does this play out with more skilled players? “Hey, I don’t just like working with fast-track juniors,” a teaching pro told me years ago. “I love helping beginners.” My counter: How do you feel about intermediates? Unquestionably, though, ball-striking techniques were a secondary theme. Craig Morris, general manager, community tennis and youth tennis, USTA, gave an extensive presentation on “Net Generation,” a joint effort by the USTA and USPTA to build a sustainable tennis community for players 18 and younger. “Net Generation” was launched this past summer. And now comes the task of bringing it to life. No one will be more vital to its success than the hundreds of pros who came to Orlando. The ball hopper is the constant. But the new tool on the block is everything from a Facebook page to Twitter, Instagram and Snapchat accounts. “You’re not just a teacher, baby,” said Bollettieri. “You’re a promoter.” If in some ways tennis is a lonely sport, of solitary singles players and even, alas, cliquish doubles pairings, then the teaching pro must also be a community builder.